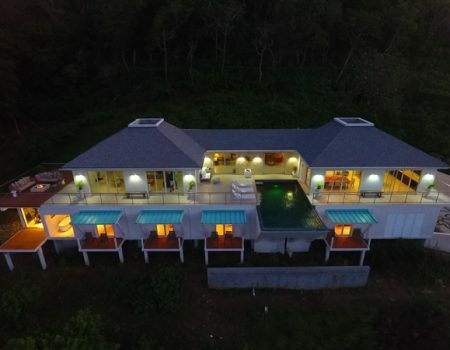 Our guests often ask us for recommendations for places to eat, things to do, sites of interest and other unique experiences to make the most of their time in St Lucia. 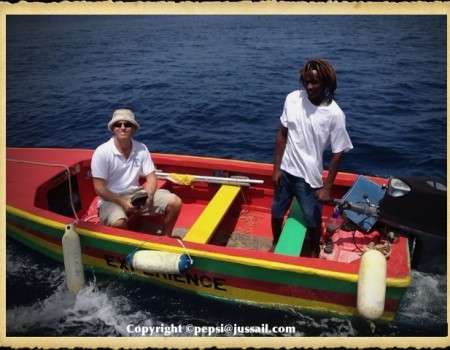 Below are some of our own personal favourites that we enjoy and we hope you will too… If you do visit mention Jus’ Sail and share the positive vibes. 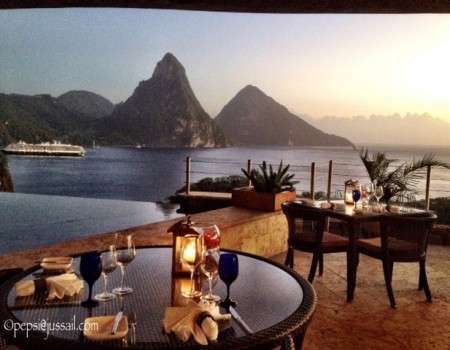 The Jade Mountain Club and Celestial Terrace have amazing views of the iconic Pitons and make for a special evening with that special someone. The menu at the restaurant changes daily. Chef Allen creates a theme which inspires each dish. We advise that you arrive by 5pm in winter and 6pm in summer to watch the sun go down before you embark on devouring your delicious meal. 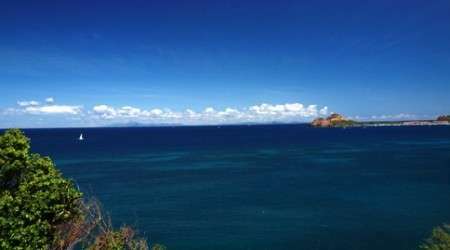 Take a stroll around Pigeon Island National Landmark, enjoy the peaceful ambiance amongst the ruins of the British military past, hike to Fort Rodney for an unparalleled view of Rodney Bay (be sure to check out the old soldiers engravings of their names and the year they were there etched into the cement from 18th and 19th Century! ), eat a Roti or Fish Salad at Jambe De Bois Beach Bar, tuck into some wonderful French Creole dishes at Barnacles and sleep the afternoon in a lounger on the beach. 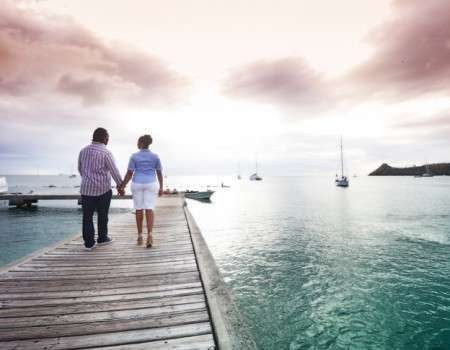 Pigeon Island is one of our favourite spots to chill out and laze away a sunny day. 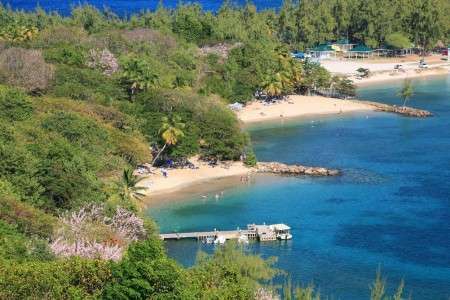 On the South side of Rodney Bay, at the end of Reduit Beach behind Marie’s Beach Shack is a great trail up Mt Pimard, its a well maintained road used by the Lucian Style Segway tours, and makes a nice gentle walk with stunning views over Rodney Bay and Trou Gacon at the end of the road. Disused WWII US Airforce bunkers are visible along the trail. Makes for a nice 30 min walk in trees with some shade. 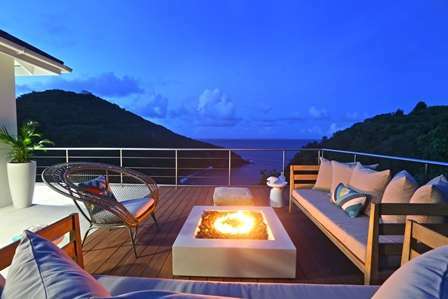 For Great Food in the Rodney Bay area you are spoiled for choice as there are plenty of great restaurants. They are all on Trip Advisor so you can choose for yourself, but we really like the French Creole quality of Jacques Waterfront Dining at Harmony Suites in Rodney Bay, the excellent seafood and classic dishes such as Lamb Shank and Cottage Pie plus a great atmosphere at Buzz on Reduit Beach Road. Whilst for the best Goat Curry and scrumptuous coconut milk poached Mahi Mahi try Bosun’s upstairs in the Rodney Bay Marina and for a great Argentinian steak try La Mesa in the marina also. We can heartily recommend all of them! 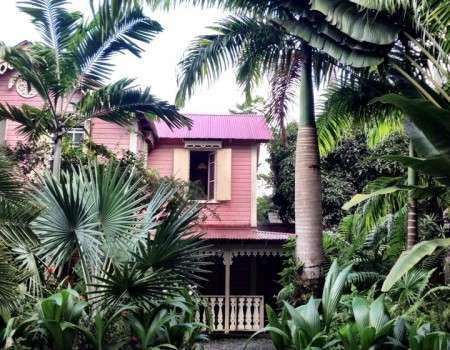 A little further afield we can certainly endorse the Pink Plantation House on Morne Fortune above Castries as a classic Caribbean lunchtime dining spot. In Gros Islet Village Golden Taste Restaurant does some killer ribs and they are great value for money, around the corner Andy and his crew will give you a warm Gros Islet welcome at Irie Bar, where you can lime like a looshan till late. 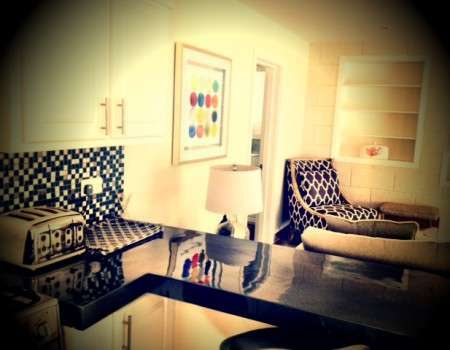 Mention Jus’ Sail when you visit and be assured of a warm welcome. 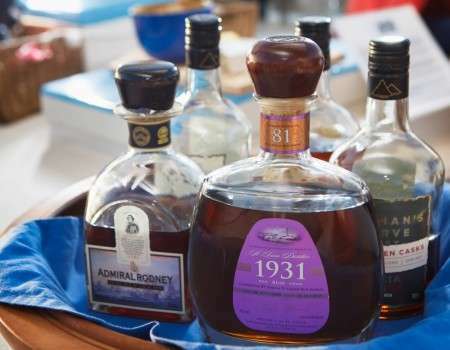 For Souvenirs you cannot go wrong with some award winning St Lucia Rums. 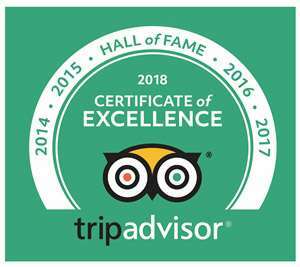 Admiral Rodney is our personal favourite and with multiple gold medal awards from all over the world, we aren’t the only ones to reckon it world class! If however you are in the market for some arts and crafts then Island Mix is a great store on the back road behind the Reduit Strip between Big Chef Steakhouse and Antillia Brewery as is The Eudovic Art Studio in Goodlands on the Mourne in Castries. When in Soufriere there’s a small establisment you must visit, Zaka’s Art Cafe. Take a seat order a coffee ( which is home grown) or a smoothie and take in the wonderful art that surrounds you. You may have seen some of his art on various parts of the island, you can’t miss it, its bright colourful and has lots of character just like the owner. He has trained some local lad’s to create some of the art which makes every piece of art unique. 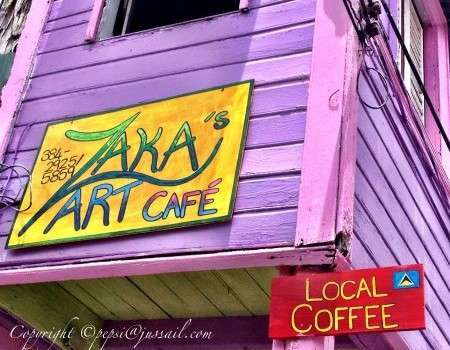 You can’t miss the Zaka Art’s Cafe its on the Soufriere water front, if you are standing on the dock looking at the church square you turn right, you won’t miss it, it’s the most colourful building on the block. Let them know we sent you … Enjoy!